This is a tea time snack and is very tasty. Children will surely like this bread balls. 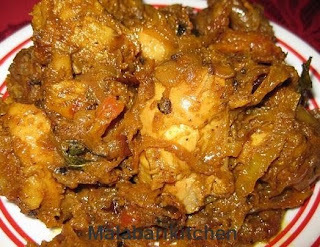 All the ingredients are readily available ones and the preparation is also very easy. This can also be served as an appetizer in any party. =►Remove the 4 sides(brown color border) from the bread (I used wheat bread). =►Make a dough along with bread pieces, milk, cardamom, nuts and sugar. 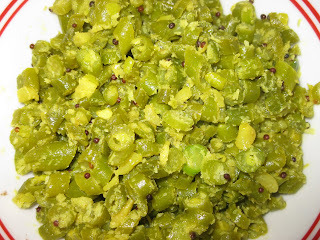 =►The dough should be softer than chapatti dough and make small balls (like small gooseberry). 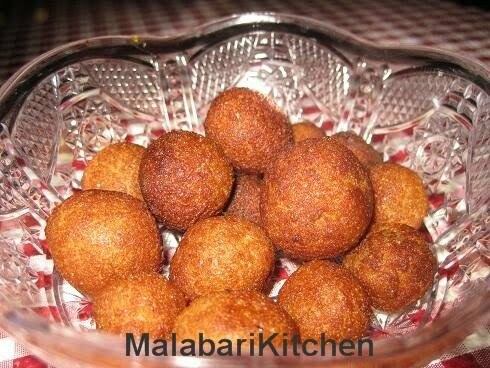 =►Fry each bread balls in oil. Fry it till the balls turns brown color. =►serve hot with tea or coffee.